CELEBRATE YOUR LIFE EXACTLY AS IT IS. You have everything you need. People show up with miraculous gifts and loving embraces and wonderful opportunities. Celebrate everything. 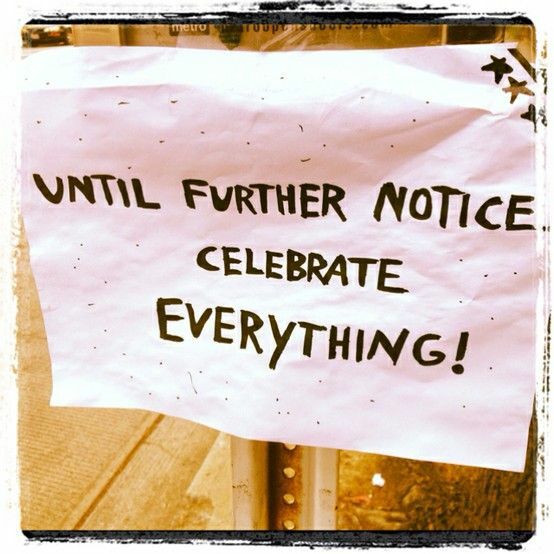 Enjoy the pleasant exercise of having to do nothing but celebrate. Relax and enjoy and celebrate with cupcakes or hugs or smiles everything that comes your way. Enjoy the fullness of imaginal possibility. Celebrate all the wonders spread before you. Fly like an eagle above the fray of your life giving yourself a google earth view. Previous Post DAY EIGHTEEN MEL’S LOVE LAND #NEXT100 | BE INSPIRED. BE LOVING. BE YOU.